We at Handy Rubbish pride ourselves on being a professional rubbish removal company in Enfield, EN1. We have been in the business for over ten years and we approach this job differently to competitors. 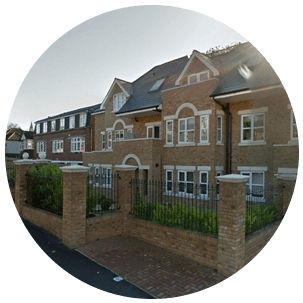 Not only do we offer a wide range of EN1 waste collection Enfield services such as EN1 garden clearance, property clearance, and office clearance, we also have a reliable, professional team that are experts in all of EN1 waste removal. This means they can get the job finished faster, safer and more efficiently than anyone else. 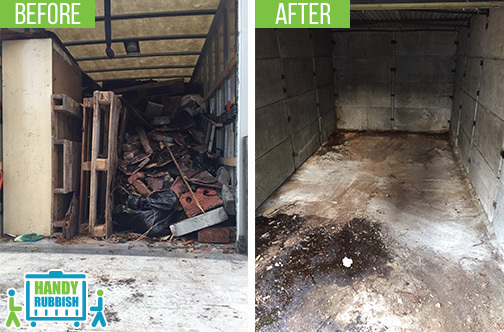 For a quick junk removal estimate or to know more about our Enfield waste disposal EN1 services, then call us on 020 3540 8282 and speak with our team. They would love to hear from you and provide you with a free quote. We can also offer you some really great offers. We offer a wide range of waste clearance EN1 services such as: office clearance, home clearance, waste disposal, rubbish pick up, garden clearance, loft clearance, furniture collection and removal, white goods collection and disposal, and garage clearance. We do all the work so you don't have to! We supply all the right equipment and our Enfield, EN2 rubbish disposal team does all the hard labor so you do not need to worry about anything. We tidy up after. Yes, that's right! After collection, disposal and removal, we will clean up and tidy the site afterwards. We cover the whole process from start to finish. We offer upfront prices. We give you a quote before we start so there are no hidden or nasty surprises after. We really take pride in our services and we love being the best rubbish clearance company Enfield. Our highly trained professionals will come to your property, whether that is residential or commercial, and remove any unwanted junk, waste or rubbish no matter what it is. We collect anything you no longer want, dispose of it carefully or recycle it to as greater extent as we can, then we give the area a sweep and tidy up after. Handy Rubbish is here for you! To get a quote call 020 3540 8282. We do all the work for you so you can relax and not worry about a thing. After working for us the past two years, we are in a better position to say that they have what it takes for this kind of project. They approach waste collection in Enfield with the correct resources. They left my house in Enfield just a few hours ago. The guys were friendly and courteous, and they handled the task in no time at all. Hard working and reliable! Best rubbish disposal company in EN1, I am absolutely sure about that! Enfield is a suburban borough in north London. It underwent a major redevelopment project in 2007 that retained the Palace Gardens Shopping Centre whilst adding many new shops to the existing retail area as well as a second multi-storey car park. Also there are new housing, health facilities, a leisure centre, a supermarket and many other features that make the area increasingly attractive to live in. In addition you can see a number of larger retail outlets as well as large cinema. The west of Enfield is largely residential with large convenient shopping centres too. There are two major hospitals in the area and numerous schools. Among them is the renowned Enfield Grammar School, private schools, community schools and voluntary aided schools. There are also three universities: Middlesex University, Oak Hill Theological College and Capel Manor College. Enfield has a football club, a rugby club and a cricket club. Transport in the area is excellent with plenty of buses including night buses and is well connected to the underground and overground railways. The Scouts and Guides have a few groups in Enfield for children. There is also the annual St George’s Day Parade where thousands of children and young people march and parade through Enfield as they follow the Enfield District Scout Band.